During no-respawn encounters, everyone will have a revive token that you can see at the bottom right of the screen. This means you will only be able to revive someone else 1 time. Most chests will only reward tokens, which can be turned in to Benedict 99-40 in the Tower. A few times during the raid, you’ll need to defeat the Standard Bearers to unlock the next room. Killing a Stand Bearer will allow one of your team members to pick up a Relic that needs to be placed in the center of the room. As you place these, Standard Liberators will periodically try to take them away. These Majors need to be killed ASAP, because if they take away one of the Relics, you’ll need to once again kill the mini-boss to get it again. Since it’s equally as important to protect your Relics as it is to retrieve them, have at least two people stay in the middle so they can defend against the Liberators. 3 attacking and 3 defending may work even better for your team. Counselors are introduced in this encounter, and these enemies are immune to gun damage outside their bubble, but a melee hit or a gun shot within the shield, will kill them instantly. So just get really up close to them and make sure they’re taken out immediately so that you’re able to kill the Liberator Majors that they protect. The Counselor will be able to make Liberator’s completely immune to damage, so it’s very important that someone quickly kills them with a melee hit. This section requires that you split up your team, so that there are 2 people in the middle, and 1 person on each glowing plate. When you step on the plate, you will gain the Psionic Protection buff. This will last for 50 seconds and protect you from unavoidable environmental damage. The 2 people in the middle will need to help out everyone else by occasionally rotating in for them to stand on their plate while they’re refilling their Psionic Protection buff in the middle. Once everyone is standing on their respective plates, the chain apparatus will activate. The 4 chains on each side of the room will keep going down as long as someone is standing in the plate in front of it. Along with the normal enemies that will spawn in, periodically a Ceremonial Bather will emerge from under the chains. These need to be taken down immediately, not only because they deal heavy melee damage, but because it’s very hard to stay on your plate with them alive. When the Psionic Protection stacks are getting low, call it out and head towards the middle platform, making sure someone from the middle is covering your plate in the meantime. Once you refill Psionic Protection from the middle platform, this will provide another 50 stacks (seconds) of the buff. Your goal is to get the chain band all the way down, and you do this by just continuing to stand on the glowing plates. Eventually it will stop moving after enough time of standing on top of the plate. This is where the chain band will end up after enough time. After this is complete and all chains are lowered, the middle room is where everyone will need to merge to. Everyone must be in the center, on top of the glowing plate, which will provide the Psionic Protection buff. The previously immune purple Censers will now be damageable, so destroy those extremely quickly. Many enemies will try to disrupt you, so throw down as much help as you can, and don’t hesitate to use your Supers. Destroying the purple Censers is your primary goal. Finally, once the Psionic Protection wears off, a Sol Counselor will spawn. This can simply be killed with a melee hit. But once that Counselor is dead, another more powerful Counselor will spawn in the air, which must be taken down ASAP. If it’s not killed immediately, the entire team will die. Once the floating Counselor has been killed, you’re once again going to split up and bring down the chains just as you did in the beginning. After the chains are down, return to the middle, and put everything you have into destroying the Censers – once they’re all gone, you’ll be rewarded with the Drain Key and able to move on. This section requires that you kill 6 of the Royal Beasts. They will prowl around the area, and your initial goal is to avoid them seeing you so you can get a damage buff. To officially start this encounter, pick up the Prism Weapons, and enter the Safe Room down below. Once in the Safe Room, you will see Royal Pollen. Royal Pollen needs to be picked up and taken to the glowing purple flowers. 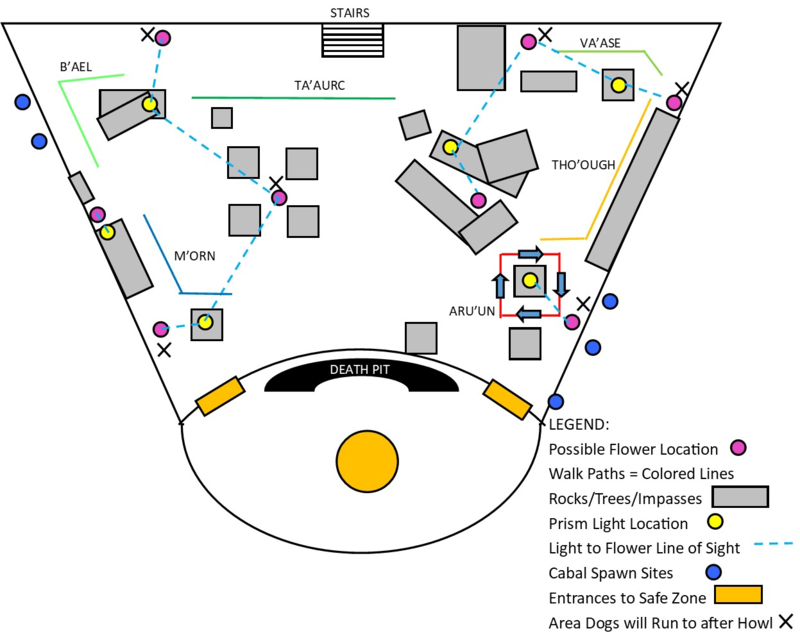 The 4 people carrying it need to be huddled around the Flower, while holding the Pollen, and then have one of the active Prism Weapon holders shoot the flower to release Empowering Spores. The Empowering Spores buff is what you’ll need to much more easily defeat the Beasts. Their health is very high, but with each stack of Empowering Spores, your damage will be greatly increased. To use the 2 Prism Weapons, the 2 fireteam members holding them will have to stand in any of the glowing lights on the top of the rocks. These members should guide the rest of their fireteam and call out the Beast locations. The people holding the Prism Weapons will also be responsible for dispatching the Cabal snipers up top. 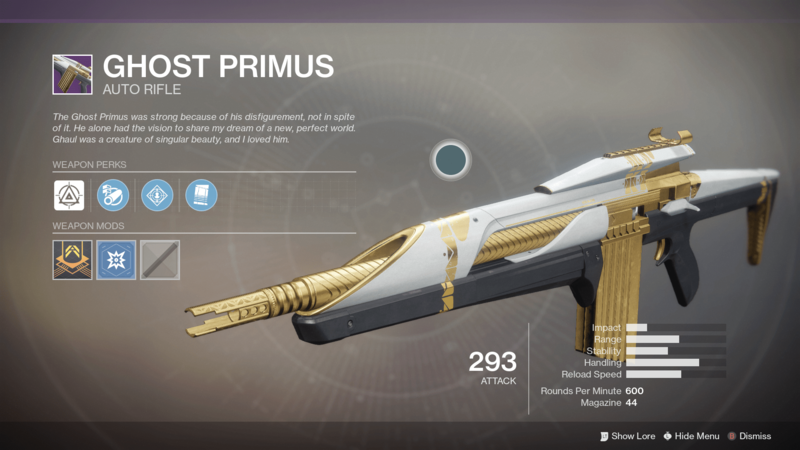 The Beasts will being patrolling around in a set pattern, and if they see you or you damage them, they will be alerted and unleash a Psionic Howl. This howl will wipe the fireteam if you’re exposed to it for more than 30 seconds. You can protect yourself against this by entering in the Safe Room. So make sure you’re able to get back into the room! Note: You only have 3 chances to enter back into the Safe Room. After the third time, it will become inaccessible. The Psionic Howl will eventually be triggered if the Royal Beasts grow restless – after 2 minutes of gathering the Empowering Spores buff, Psionic Howl will be activated even if they don’t see you. When this first happens, everyone needs to deal damage to the Beasts, attempting to get their health as low as possible without killing them. The goal is to get enough of the Empowering Spores buff in order to quickly weaken enough of them before retreating back to the Safe Room. You’ll eventually need to kill them, but for each Beast that is killed, the Psionic Howl will become more deadly; the amount of time you have to get back to the Safe Room is decreased. So if you’re able to heavily weaken them all, you’ll be able to more easily kill each one before the Psionic Howl is complete on your third Safe Room. To start this encounter, each of the pillars that circle around the middle room need to be lowered. This can be done just by standing on them. After killing enough regular enemies, and then the Imperial Centurions, 2 Psionic Charges will spawn in. After these are picked up, the 2 people holding them will be teleported into the outside area behind the orange shield. The people running with the Psionic Charges will need to call out which circle is highlighted in red, whether it be the top, middle, or bottom. People on the outside will need to stand on the corresponding pillar that’s across from the circles that the runners are trying to go through. Standing on the pillar will allow them to shoot the ‘arrows’ – there is a top, middle, and bottom arrow. This will also remove the orange barrier in the circles, so the runner can proceed through it. If the top circle is highlighted red, then the middle and bottom arrow need to be shot by the person standing on the pillar. If the middle circle is highlighted, the top and bottom arrows need to be shot. In this instance, the top and bottom upside down triangle ‘arrows’ need to be shot. If the correct arrows are shot, then the circles will become green, and the runner will be able to pass through the previously red circle to extend the time he or she is able to hold the Charge. An extremely important job for anyone who isn’t running with a Charge, is to dispatch of the ‘immune’ Counselors. As usual, they can simply be killed with a melee hit. But if they aren’t killed immediately, they will cause your team to fail. After successfully passing through 4 circle barriers, Charge holders will be teleported back inside, and then they’ll need to smash the Charges into the middle of the room. This process will be repeated 3 times, and the finally everyone will need to meet up in the middle and pick up a Charge. After the Charges are picked up, your team will be teleported out. All of the circles will be open, but your team will need to coordinate who will be passing through what circle to make sure you each can refill your Charge time so it doesn’t explode on you. Everyone who remains alive from this will need to smash their Charges in the center. 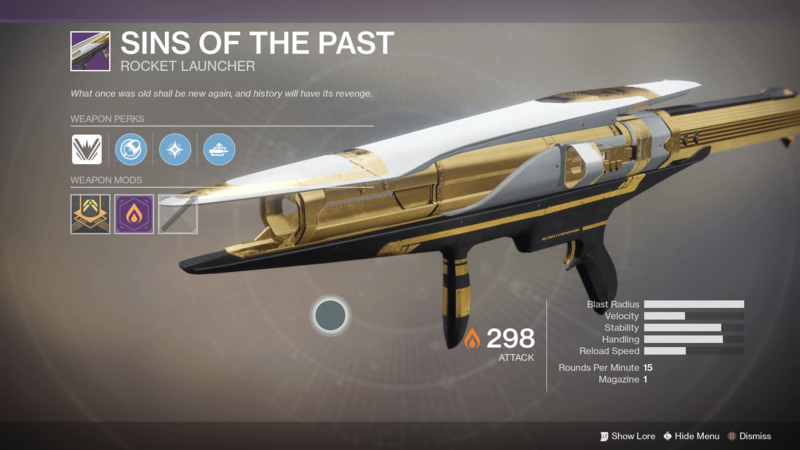 To start this encounter, shoot the cup that Calus is holding. After that, many enemies will spawn in that need to be killed, and then finally the Counselor‘s. They can be killed with a single melee hit. After the Counselor’s are killed, everyone will be teleported to another plane of existence. 3 will need to stay there, and 3 can be teleported back by passing through a glowing sphere. 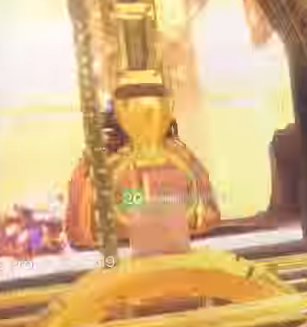 The 3 players that stay in the other realm will need to call out what symbol is atop of Calus’ head. There’s a Cup, Sword, Sun, & Dog. These symbols are also above the Counselor’s heads. 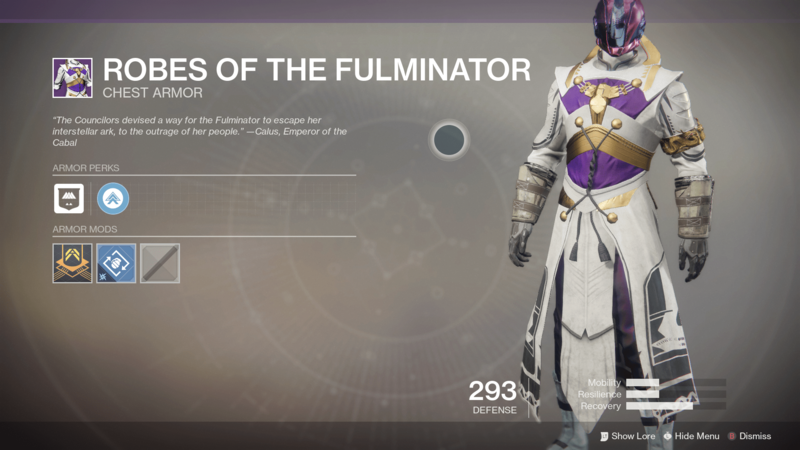 The 3 other players who were teleported back into the Throne room will need to melee kill the corresponding Counselor based on the symbols that are not on Calus’ head. 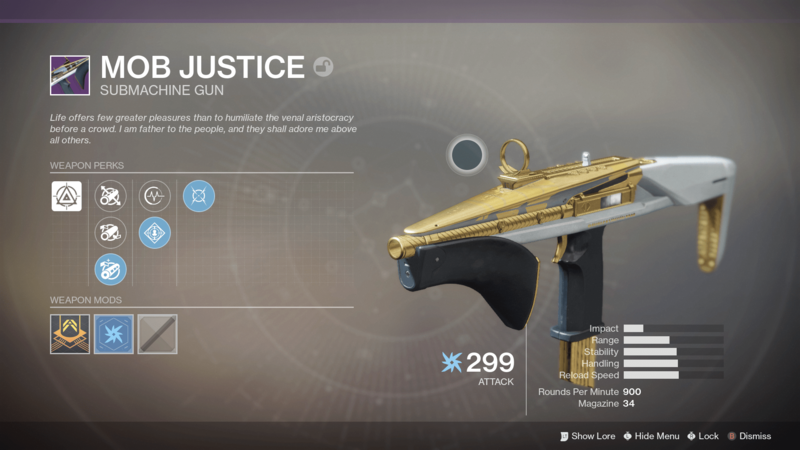 Each member will see a different symbol above Calus, so each symbol will need to be called out. 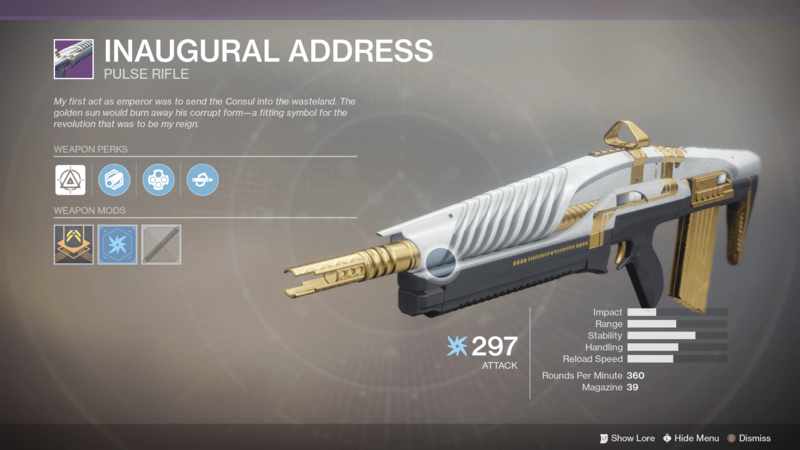 The symbol above the Counselor that is NOT on Calus is the the one that needs to be killed. Once the Counselor is killed, two floating Counselors will be teleported to the Mind’s Eye realm where they will need to be killed with gun damage. Another issue to contend with in the ‘Mind’s Eye’ realm is the fact that Calus will constantly pull that team towards him. You’re protected by a small barrier, but if one of the Psion grenades hit you, or you fall down a hole, or if you are vaulted over from a tile/bump on the ground, then you’ll fly past the barrier and die. This doesn’t mean you can’t recover: You will be able to spawn, but not within the Mind’s Eye. After you get to the end of the Mind’s Eye, Calus will unleash a volley of skulls. As many of these skulls should be killed as possible because they contribute to your “Force of Will” buff, which increases your damage.After the skulls have been eradicated, run through the glowing spheres to be teleported back to the Throne Room. 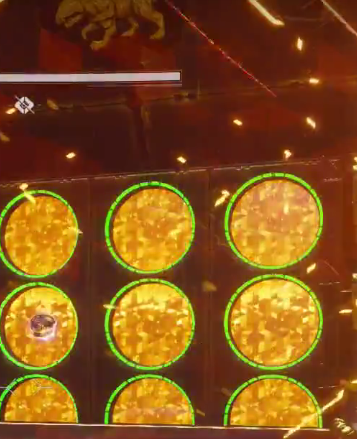 To get the Force of Will buff, and to damage Calus, everyone in the fireteam needs to stand on the glowing pillar. 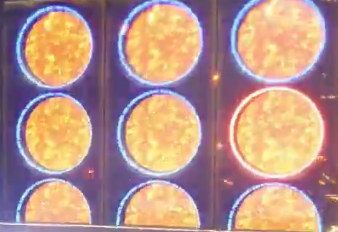 After about 10 seconds, Calus will wipe out the glowing pillar and everyone will need to rotate to the next one. A good rotation is top right, bottom right, then bottom left, and then top left. Ideally in each damage phase, your team will be able to take down his health by 1/3. This will be much easier if you have 60+ stacks of Force of Will (from the skulls).